I was never a fan of Dead Island. 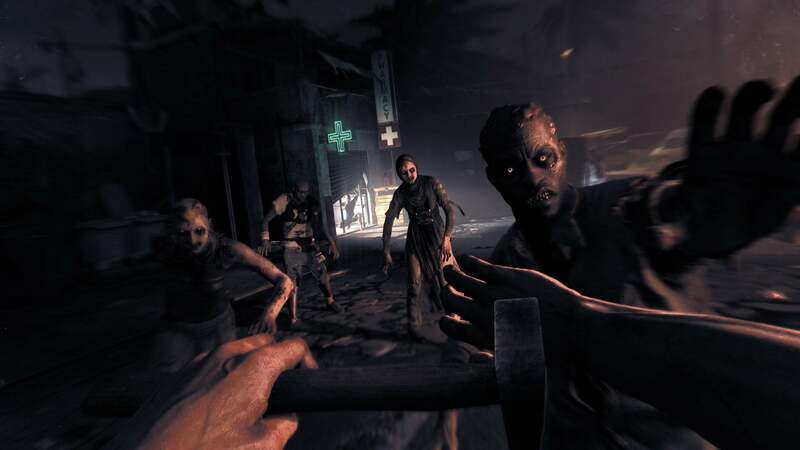 While the idea of an island infested with Zombies mixed with first person melee gameplay mechanics sounded like something that I would definitely be a fan of, the end result was a mixed bag of unfulfilled potential. Riptide fixed some of the issues, but created some new ones. So I was hopeful that Techland’s new game; Dying Light could learn from it’s mistakes and improve on the existing formula. The result is, unfortunately, another mixed bag. The first 5 or so hours of Dying Light are a great time. Running, kicking, hacking, and slashing your way through a beautifully destroyed city is more fun than it should be and while some technical issues rear their ugly head at times, it’s worth ignoring because it’s just so much fun. The zombies are fast, more intelligent than some humans I have met and have a singular purpose in wanting to kill you! It’s like a demo that you never want to end. Dying Light is a game that really wants me to like it. It makes a great first impression. It looks really nice, and has a premise that rarely gets old. The first couple of hours of the game are great, free running, parkouring and hack-n-slashing your way around the fictional city of Harran is effective, visceral and oh so sweet. The problem becomes, just because I enjoyed the first couple of hours, doesn’t mean that I want to continue playing the same parts over and over again. And this is my biggest gripe about Dying Light. A lot of it’s side quests, and even some of it’s main story missions, are all very similar. Fetch this, find some loot, kill some guys and lather, rinse, repeat. 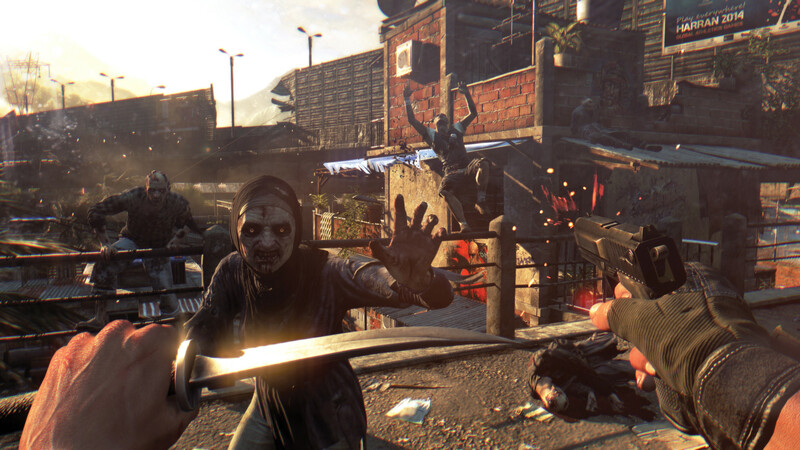 Variety is the spice of life, and that makes Dying Light as bland as it’s main protagonist. It would be fine if, in doing these missions, the reward outweighed the risk. Collecting things from dangerous areas for the shady (at best) citizens of Harran rarely bestows upon you the types of rewards one would expect from taking on a task that would almost certainly result in death. Usually, its just a small amount of money and experience and a pat on the back, only you don’t even get the pat on the back. Most of these citizens do not even dane you with a thank you for your efforts, instead sending you on your way like the errand buy they perceive you as. There are a few fun missions peppered throughout the game. Anything that takes advantage of the games excellent parkour system shines as this is one element of Dying Light that stands out from the rest. Climbing the buildings and radio towers of Harran never gets repetitive and when coupled with the intensity of running away from a mob of flesh hungry zombies, this only becomes more fun. This is amplified at night when the zombies are stronger, faster and based on how hard it is to lose them, hungrier. The night is when Dying Light, ironically, shines the most. Agility and Combat points are doubled to balance out the risk / reward and with only a flashlight to light your way, the game becomes very difficult. The game recommends that you run for the nearest safe house or to the Tower (where the majority of the games missions are given out) but I can honestly say I never did. I revelled in the danger, and happily ran from one end of the map to the other, being chased for the majority of the night. I spent so much time free running through the city at night that I had reached level 8 agility before I had reached the 5th story mission. To get around while mowing down enemies, you will need weapons. Luckily, there are plenty to be found around the city of Harran. Everything from a block of wood to a Cricket bat can be used and each has stats that convey its usefulness. The important stats are the power of the weapon (the damage it will do when you hit an enemy with it) and the durability of the weapon. The higher the durability, the longer the weapon can be used before needing to be repaired. And if you think that you can just keep repairing the same weapon over and over again, think again. Every weapon has a certain number of repairs before it finally breaks. There are upgrades that can be applied to the weapons to increase the power and durability of it, but once you have applied it to a weapon it cannot be removed, which creates a scenario where you must think before you upgrade a weapon. If it has low durability and you are upgrading its power with an upgrade, it may end up being a mistake. It’s a clever, if not overly simplistic system, and the sheer amount of weapons available throughout the city mean that the upgrades are never really necessary. Zombies (and their larger, more dangerous variants) are not the only enemy that Dying Light makes you contend with. There are also human enemies from bandit gangs and other places that I won’t spoil here that add a different dimension to the combat. Simply running up and bashing them may work, but it will take more time than taking down your average zombie. And this is where guns come into play. Having a Pistol or Assault Rifle in your inventory before running afoul of these enemies is smart, especially later when they start carrying guns of their own. Luckily, these weapons can be usually found in the back of a police van. The bad news here is that these vans are usually left abandoned near a large group of zombies. And since stealth is not an option, you will need to clear out the area before attempting to pick the lock (using a lock-picking mechanic that was lifted directly from Oblivion / Skyrim). All in all, Dying Light is a good game, let down by repetition and wasted potential. The parkour / free running is absolutely the stand out part of the game, but when taken with the repetitive mission structure, uneven visuals and puzzling button configuration (clicking L3 for sprint when R1 is the jump button is just a baffling design choice!) let it down somewhat. If we take this as a template for a potential follow up, then things can improve in the next game. But if we take Dead Island and Dead Island: Riptide into account, then things will only improve slightly while taking a few steps in the opposite direction.